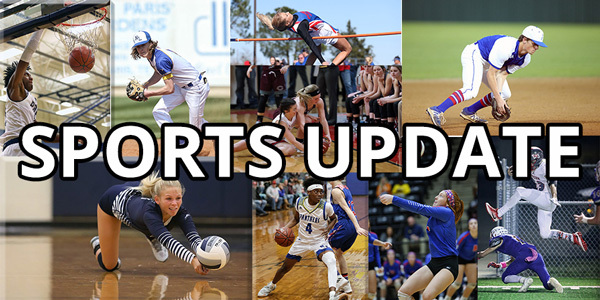 On Friday night the North Lamar Pantherettes defeated Paris in softball 19–0 In a game played at Chisum High School. Senior McKayla Figueroa went four for four at the plate with 2 RBI and 3 runs scored. Jaycie Hall pitched a perfect game for North Lamar as she struck out 14 of the 15 batters she faced. North Lamar is off Tuesday and will play Liberty Eylau on Friday in Texarkana. The Lady Cats will be at home Tuesday against Liberty Eylau. In other softball action, the Prairiland Lady Patriots defeated Winnsboro 8–4. Prairiland is currently in second place with a 7–1 district record. They will play Mt Vernon on the road Tuesday night. The Chisum Lady Mustangs defeated Cooper 9–4. In baseball, the NL Panthers fell to Liberty Eylau 10–4. Paris fell to Pittsburg 4–1. In playoff soccer, the Paris Lady Cats defeated Athens 3–1 to punch their ticket to the regional tournament. Paris will play Melissa Friday night at 6:30 in Tyler. The Paris boys soccer team fell to Kilgore 4–2. The Baylor Lady Bears are national champions as they took down Notre Dame last night 82–81. The men’s championship game is tonight as Virginia will play Texas Tech. The Dallas Stars will play Nashville in the first round of the playoffs. Game one is Wednesday night. And the Rangers lost the final three games of their four-game series with the Angels after losing 7–2 yesterday. Texas is off today before starting a series with the Diamondbacks in Arizona. The Women’s NCAA Champion was crowned last night, and they are the Baylor Lady Bears. After leading Notre Dame by as many as 17, the Irish fought back and went ahead. Then the lead changed back and forth, but, the Lady Bears pulled it out 82-81. Meanwhile, the NCAA Men’s Championship game is tonight. Virginia got there after a thrilling one-point win over Auburn, after a disputed foul call. And Texas Tech overpowered Michigan State to advance. Game time tonight is at 8:20 pm on CBS. The Dallas Cowboys have agreed to a five-year, $105 million deal with defensive end DeMarcus Lawrence, with $65 million guaranteed. The Cowboys placed the franchise tag on Lawrence before free agency started, which would have guaranteed him $20.5 million, but the idea was to use it as a placeholder for a contract that would make him among the highest paid pass-rushers and a Cowboy for the foreseeable future. Memphis Grizzlies assistant Jerry Stackhouse has been hired as the men’s basketball coach at Vanderbilt, the school announced Friday. Stackhouse and the Commodores agreed to a six-year contract. Besides the six-year deal for Stackhouse, Vanderbilt has pledged to upgrade its financial commitment to the program, including increased assistant coaching salaries and budgets. The Cincinnati Bengals waived Mark Walton on Saturday after the running back was arrested for the third time last week. Walton surrendered to police on Thursday and is facing a felony charge of carrying a concealed weapon along with three misdemeanor charges: resisting an officer without violence, marijuana possession, and reckless driving.